Do you bow or shake hands? Take off your shoes or leave them on? 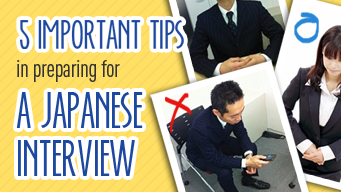 Mastering the cultural etiquette for an interview with a Japanese company can be stressful. The key is to be yourself but keep these tips in mind. If you have followed the steps in our 9 Tips For Writing The Perfect Resume guide then you may be contacted through the GaijinPot message system by potential employers to arrange a job interview. The first step to a successful job interview starts with setting a mutually convenient time for both of you. Be honest and let them know what hours you currently work (if you have a job) and what dates and times work best. Give them at least 3 or 4 potential times when you could have the interview and try your utmost to make at least one of these during their normal working hours. Avoid rushing to the interview straight from work, but if it is absolutely impossible for you to do otherwise, let them know that is the case, that way they won’t write you off automatically if you turn up a few minutes late (although they will be far from impressed if you aren’t at the very least five minutes early). Much like the photograph you took for your resume, it is absolutely necessary to dress formally for the interview. A shave, haircut and clean shoes are all recommended, as these finer details will be noted. One thing to be extremely aware of is that you are wearing a pair of matching, pristine socks because in almost all schools and a number of offices, you will be asked to step out of your street shoes and into a pair of slippers; in the split seconds it takes you to dive into the slippers, a toe poking out of a hole will surely be noticed, so be prepared. 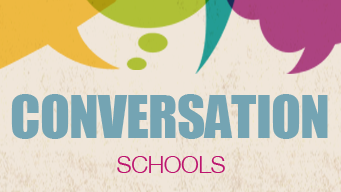 The only time you don’t have to wear formal clothing to the interview is if you have been told not to by the employer, this may be the case if you are to work in a children’s school for a trial lesson, or perhaps even a trial shift. You should still be smart however, so avoid tank-tops and cut-off jeans, but wear clothes that are comfortable and ones you don’t really mind getting grubby. For the interview itself, be sure to bring a bag filled with necessary items, these will include your Passport and ID Card to show your visa status, a pen and paper to take any notes, a printed version of your resume and materials for a trial lesson. Most employers will let you know beforehand if you will be expected to do a short demonstration lesson, but some may spring it on you to see how you handle pressure, if you can keep calm and pull off an amazing lesson on the spot, the job will become that much more secured. Perhaps in your home country you were taught that a candidate “taking control” of the interview shows initiative and passion; in Japan however, you interrupting the interviewee with various queries may come across as pushy, or even worse, rude. The best thing to do is listen intently and take notes on any points you would like to know more about. Either at points throughout the interview, or at the very end, the interviewee will ask if you have any questions you would like to ask, asking too much is almost as bad as asking nothing at all, be sure to have a couple of sensible questions lined up. If they have yet to mention money, it is a faux par in Japanese society for you to bring it up during the first interview; if you really can’t bear not knowing, try and sandwich the question between something a little more suitable, such as questions about the curriculum, or what materials you will have available to you. With larger companies, it is not uncommon for the interview to include a number of candidates at once, sometimes as many as a dozen participants. The key thing to remember here is that these people are not your rivals, but potential workmates. It is very unlikely they are interviewing on mass for one position, so assume there is enough work to go around. Showing that you are able to work in a team and listen to your peers is far more important in this line of work than demanding leadership and taking charge. For almost every teaching job you will get in Japan, team work with native Japanese teachers or office staff will be vital, so they want a team player, not a totalitarian tyrant. For the most part, interviews for English teaching jobs are far less formal and stringent than those for other Japanese jobs; with that in mind it is possibly best to politely ignore advise you may be given from your Japanese friends. This may sound strange, but in a “normal” Japanese interview, it is best to avoid making eye contact with the interviewee, as it elevates them into a position of authority. You are not expected to be aware of or maintain these etiquettes, and you may come across as too meek and mild, instead of culturally sensitive. It may seem like a lot to remember, but so long as you enter the interview with a big smile, confidence, and seem genuinely curious about the position, you really should be fine. Start your career by registering your resume in the GaijinPot Job System.